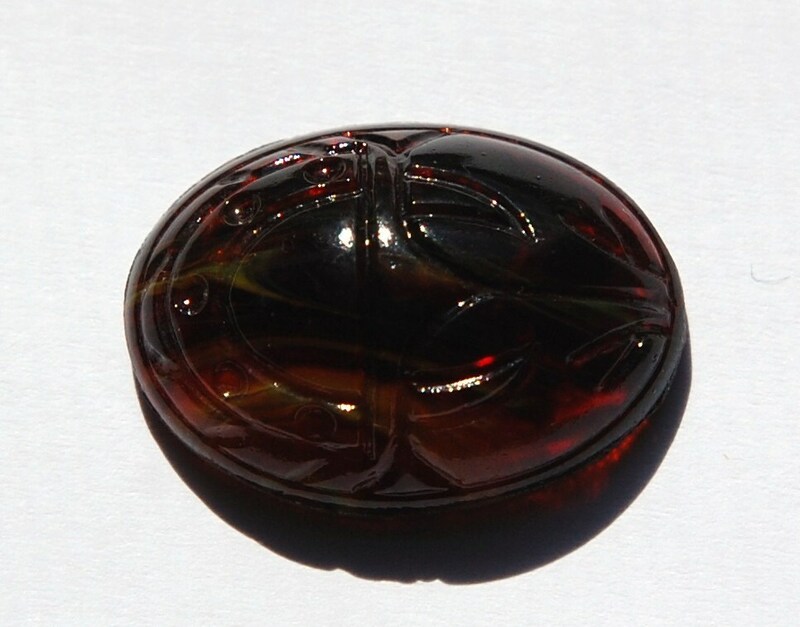 This is a vintage dark brown glass with some streaks of lighter brown, scarab cabochon. 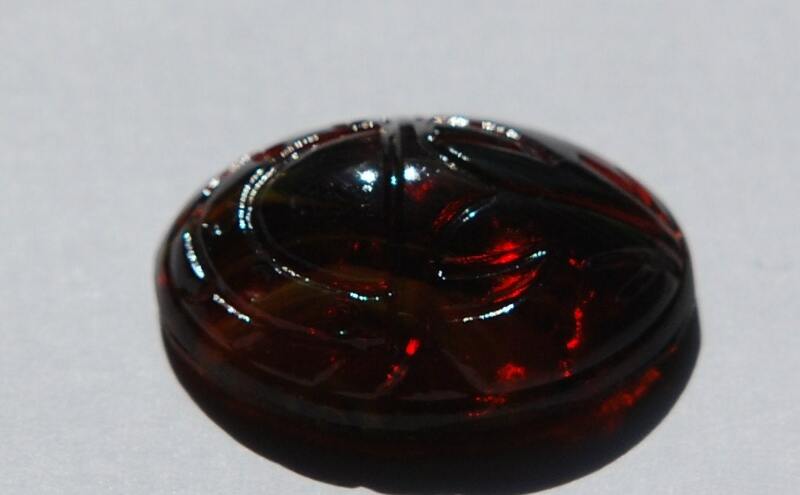 The back has etched hieroglyphics and an etched scarab on the front. This measures 25mm x 18mm. You will receive one piece. Always the best stuff from your shop! Very nice treasures and fast shipping! Thank you! Smooth transaction. Scarabs arrived quickly and well packaged. Thank you.